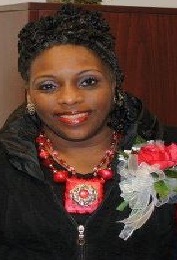 Dr. Claudette Owens, is a native of Frisco City, Alabama. After her relationship with Christ her greatest joy is her relationship with Pastor Owens and her family. She and Pastor Owens have three handsome and anointed sons, Jeremy, Chip and A.J., a beautiful and anointed daughter-in-law, Chip's wife Lillian, and a handsome grandson, Josiah. As First Lady of the Shiloh fellowship, she serves along side her husband leading the people in the vision the Lord has given Pastor Owens for the congregation. She also serves as the church Congregational Care and Worship Arts Pastor and Chief Administrator of Fountain of Life, Inc. She has a great love for the fellowship and for people in general. Her desire is to see everyone blessed. She has a strong love for teaching and motivational speaking. Dr. Owens enjoys participating with all the church ministries such as the youth, music/worship arts, education and other teaching ministries. She has a love for drama, enjoys directing choirs and writing/directing plays. Dr. Owens holds several technical and biblical degrees to include BS degrees in Engineering, a Masters' and PhD degree in Physics, Masters' degrees in Biblical Studies and Divinity from Whitesburg Heritage Bible College and a Doctorate in Ministry from Andersonville Baptist Seminary. Her two-fold philosophy of life is " to be a pure and sincere ambassador for Christ and to help somebody along the way". Fountain of Life, Inc. exists to promote (educational, social, economical, charitable, mental, emotional) growth, by providing motivation, training, resources and support.